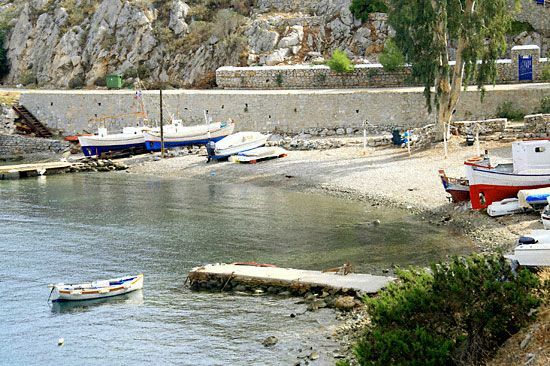 Mandraki is a picturesque cove found on the east of Hydra's Town. It has one of the best organized beaches of the island, offering many facilities and sea sports. It is actually separated in two beaches which both have small peebles. 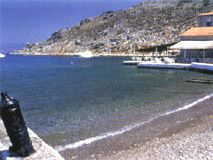 The larger beach lies in front of the the Miramare Hotel and the smaller one lies below the taverna. The main beach is operated by the hotel and is very busy with lots of umbrellas, sun-beds, a restaurant, and a beach bar which plays loud music. 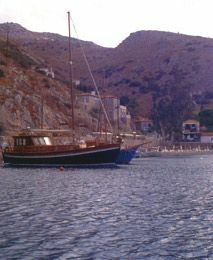 In the past, Mandraki used to be the military port of Hydra. 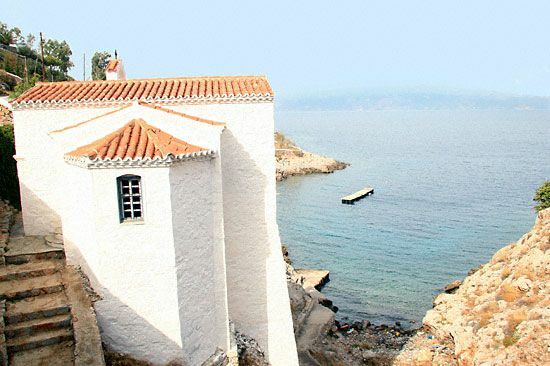 You may also visit the Byzantine Monastery of Agios Nikolaos (Saint Nikolas, 1724) which lies in the area. 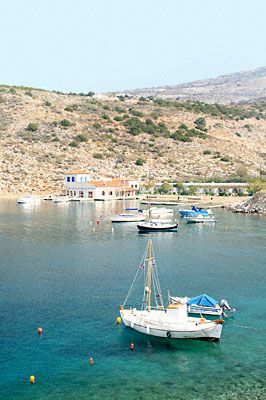 You can approach Mandraki by boat, by a sea-taxi or through a scenic coastal road which starts from Hydra's Town (apx 35-40min). If the weather is calm and the time is right, this stroll will be unforgettable. 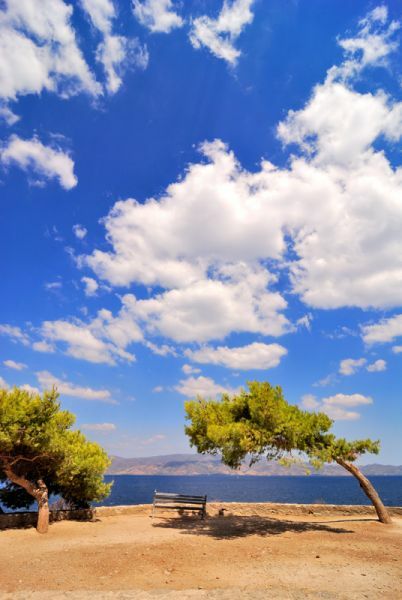 On the road, you may sit on the benches provided and admire the beautiful colours and the endless sea views. The best time for this stroll is either the evening or the early morning, when the sun and the heat are not very strong. 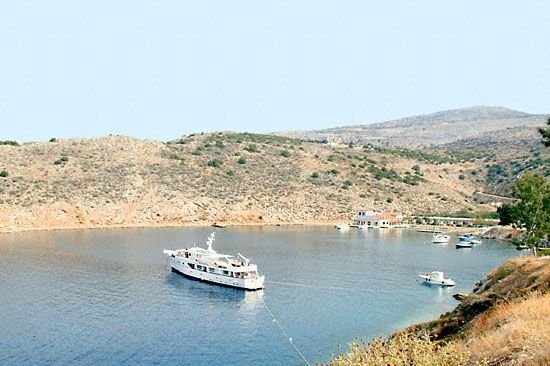 Evaluation: The beaches in Mandraki are small, usually overcrowded and not particularly attractive. However the whole area is picturesque and therefore we rate it with 2.5 stars. 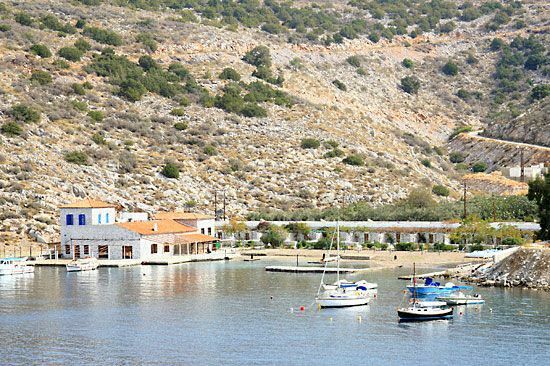 ANCHORAGE INFO: Mandraki is a popular anchorage because it offers beautiful surroundings, a beach, some facilities (hotel, taverna, sunbeds, umbrellas) and is located at a walking distance from Hydra's port (apx 35-40 min). 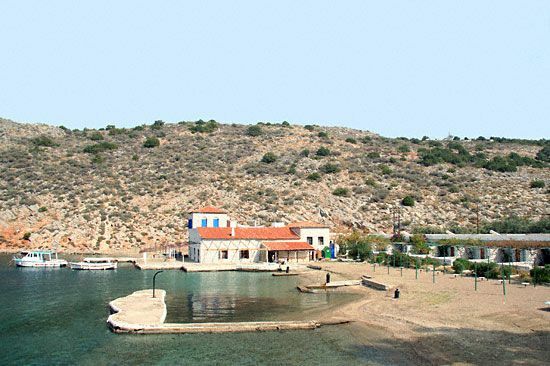 Moreover it is the most convinient alternative for those who cannot find a place in the port of Hydra which is found at a short distance (less than a mile). 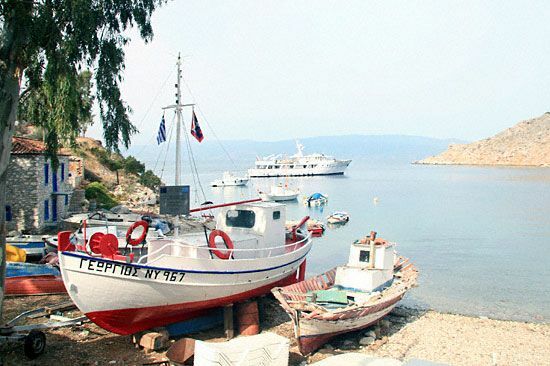 It offers a small jetty used for disembarcation by small boats and sea-taxis. Sea-taxi service is available. SHELTER: Well protected from South winds. Protected by Southwestern and Northeastern winds. Exposed to Noth - Northwestern winds. Easteries send an insuferrable swell. There are many permanent moorings, buoys and nets that mark out the swimming area. WARNING: The sea taxis create strong wake as they approach. HOLDING: Relatively Good. Be careful of the chain which is found on the sea bottom, on the western side of the bay.